Holland America Line's tradition will continue when Her Majesty Queen Máxima of the Netherlands christens Holland America Line's new Pinnacle-class ship, ms Koningsdam, in a ceremony in Rotterdam, the Netherlands, May 20, 2016, on board the ship. The 2,650-guest ship is the first in a new class of vessel for the line. 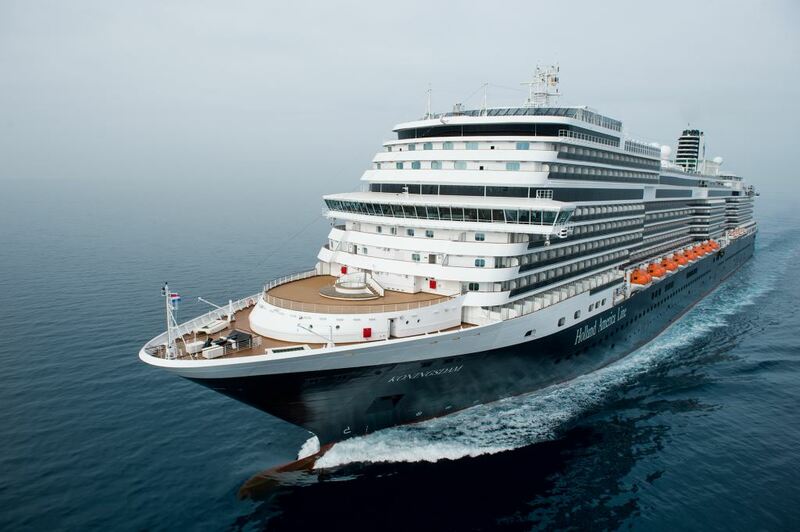 Members of the Dutch Royal Family have launched 11 Holland America Line ships. Most recently, then-Princess Máxima christened ms Nieuw Amsterdam in 2010 and then-Queen Beatrix served as ms Eurodam's godmother in 2008. Statendam III in 1929 was launched by Prince Hendrik and Nieuw Amsterdam II in 1937 by Queen Wilhelmina. Then-Princess Beatrix named Statendam IV in 1957 and Prinses Margriet in 1960. Rotterdam V was launched in 1958 by Queen Juliana. Princess Margriet dedicated Prinsendam in 1972, Nieuw Amsterdam II in 1983, ms Rotterdam VI in 1997 and ms Oosterdam in 2003. "We are incredibly honored that Her Majesty Queen Máxima will carry on the tradition of Dutch Royalty christening Holland America Line ships, which began 87 years ago," said Orlando Ashford, president of Holland America Line. "We chose Rotterdam as the location for the official ceremony because of the deep historic connection between Holland America Line, the city and the people of the Netherlands. May 20 will be a very special day in our company's 143-year history as we officially dedicate ms Koningsdam." For more information about Holland America Line, consult www.hollandamerica.com.